We sold our house in Fort Meyers and started to build a garage with an apartment above it on our 10 acres in Durango Colorado. I stored my stuff at the beach house in Naples and went back-and-forth while mother was still living in her house on the river. This January she passed away. I am temporarily using mothers house as my permanent residence and hope to be building my home in Colorado this spring. Two of my three children are now in Durango. Jason, my youngest has been in Durango since college and is a realtor. He found us are 10 acres on the animus River.My oldest granddaughter is at Middleberry College in Vermont and will be spending this semester in Denmark studying architecture. The other three grandchildren are still little. I feel truly blessed. Kathy Kleist Derheimer posted a message. Kathy Kleist Derheimer has a birthday today. 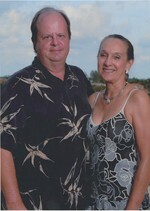 Kathy Kleist Derheimer updated profile. View. Kathy Kleist Derheimer added a photo to profile gallery.